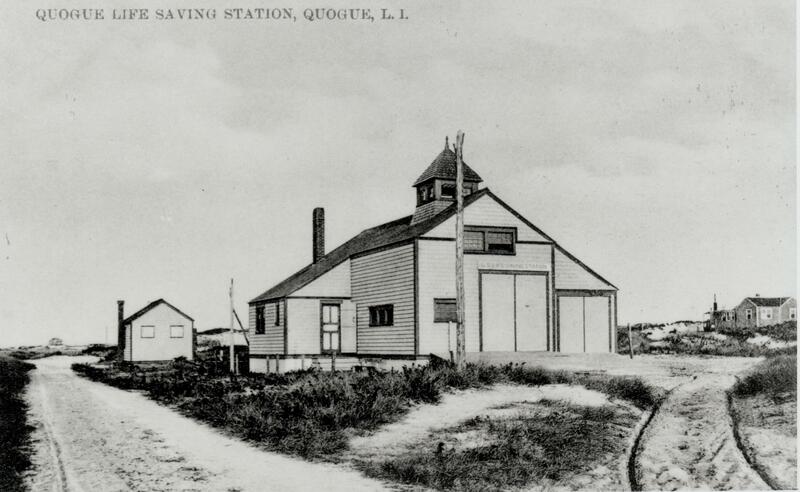 Wonderful Early Photo Postcard of the Quogue Station and Dune Road looking East just after the turn of the Century. 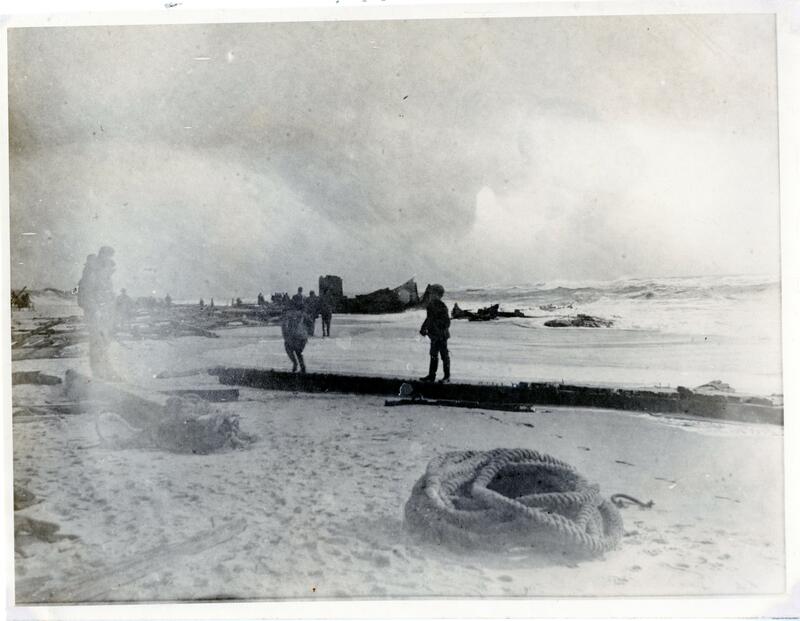 One Hundred and Fourteen Years ago today, this photo was taken of the wreckage of the Three Masted Schooner “Augustus Hunt”. 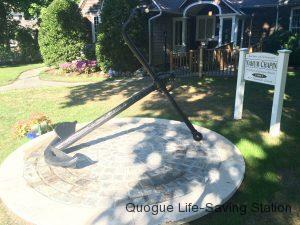 The ship had been stranded 1 1/2 miles from the Quogue Station, and broke up in a violent storm. 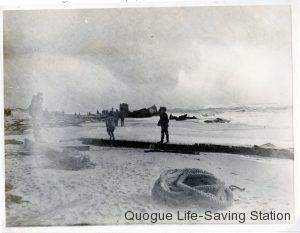 The ensuing rescue(s) resulted in the award of 2 Gold Life Saving Medals. Photo Courtesy of QHS. On August 28th, 2016, the Quogue Library held a Ceremony in which the original anchor of the Three Masted Schooner NAHUM CHAPIN was placed on a brand new pedestal after a complete restoration. 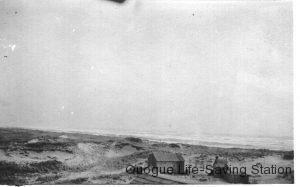 The Ship was wrecked off the Quogue Beach on January 21, 1897, during a Northeaster with 50 MPH winds recorded. In the USLSS Annual report of 1897, the wreck was considered “one of the most deplorable disasters of the year”, with a loss of the entire crew of nine. 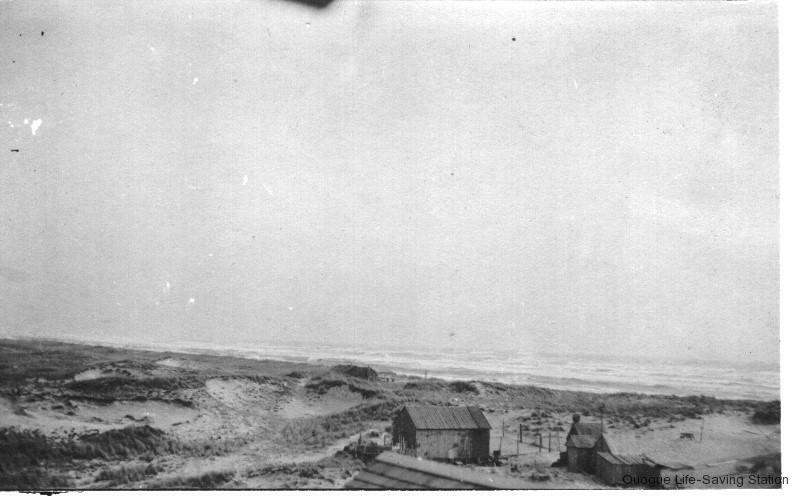 Multiple rescue attempts were made from shore with the Lyle “line” Canon, but despite the valiant efforts of the Surfmen from the Quogue, Tiana, and Potunk Stations, the “calamity was as swift as it was overwhelming” as within an hour of responding, the “wreck lay in fragments at their feet”. 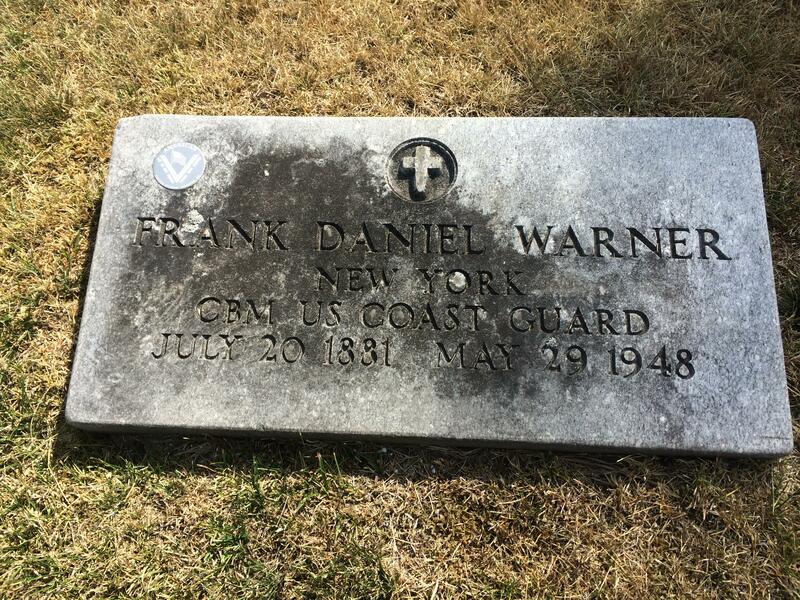 A peaceful stroll through the Quogue Cemetery is highly recommended for history buffs of both Long Island and our Great State of New York. 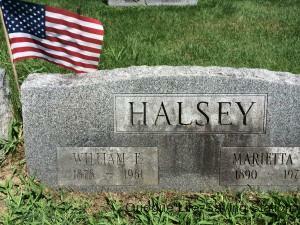 Among the buried are Colonial Settlers and their Families. Veterans from our many wars. Potters Graves. Indian Graves. A Naval Admiral. Shipwreck Victims. And most notably, William F. Halsey and Frank D. Warner, both Gold Medal Awarded Heroes dating back to their brave service as Surfmen at the Quogue Life Saving Station. 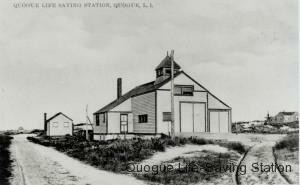 Since 1849, there has been a Life Saving Station on the Beach in Quogue, New York. 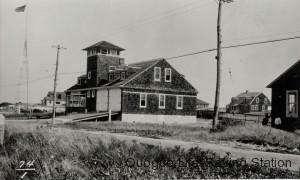 From this date, until after World War II, the Quogue Life Saving Station, later becoming the Quogue Coast Guard Station, has played and integral role in the Maritime History of the East End of Long Island. Manned by brave locals, the motto of the Surfmen was: “You have to go out, but you don’t have to come back”.